After West Law Firm’s recent sponsorship of the adoption of 25 animals at the Kanawha Charleston Animal Shelter, one of our attorneys, Kevin Davis and his family of 6, were inspired to foster the group of puppies on the right until they were old enough to be adopted. Kevin said that fostering these puppies was a wonderful experience for him and his family. “Fostering these puppies gave my four children the opportunity to learn responsibility while doing something they loved. While fostering these puppies, we also made many memories that we will cherish for a lifetime,” said Kevin. The puppies only needed fostering for about two weeks before they were ready for adoption, which is fairly typical. So, if you don’t have the time or resources to permanently adopt an animal, you can still do a lot to help protect the animals by volunteering short-term as a foster. The Charleston Kanawha Animal Shelter is now at maximum capacity and its no kill policy is in jeopardy. 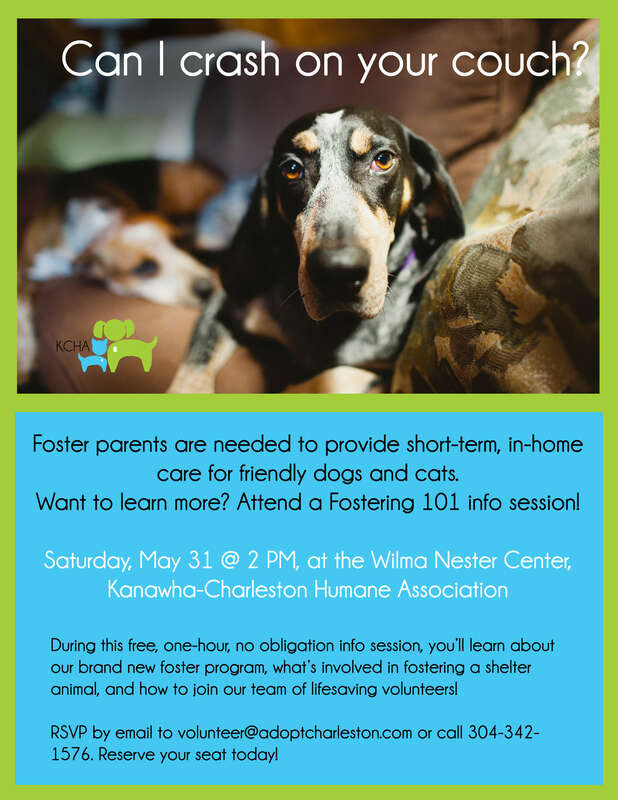 Puppies, kittens, dogs and cats frequently need fostered, and the Kanawha Charleston Humane Association is offering a free, no obligation, Fostering 101 workshop at 2 pm on Saturday May 31st at the shelter. You can come by the shelter to find out more or RSVP by calling 304-342-1576 or emailing volunteer@adoptcharleston.com — at Kanawha Charleston Humane Association.